Do you believe that history repeats itself? I think that it does sometimes. I had a strong sense of this last week. 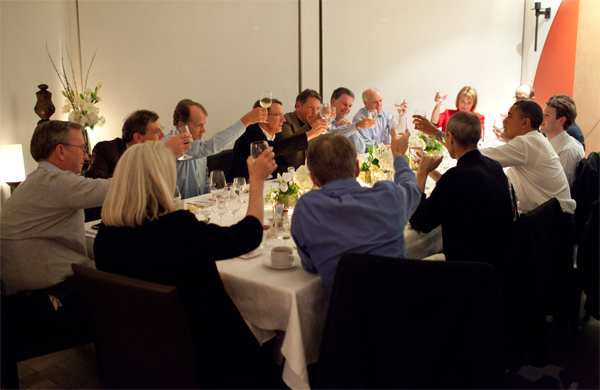 Last Thursday a group of business leaders including Steve Jobs of Apple, Mark Zuckerberg of Facebook, Eric Schmidt of Google and Larry Ellison of Oracle met with President Obama in California. The purpose of the meeting was to discuss with the president how to create jobs and stimulate innovation in the country. One of the topics discussed was Education. This is what sparked my idea for this post. point the vast majority of people in the US were involved in farming. There wasn’t a big need for factory workers. Once the assembly line was invented by Henry Ford to manufacture cars, production was vastly improved and many more workers. The key to the assembly line was standardization. Parts were made to exacting standards, allowing them to be interchanged. Before that, most products were hand made and each were slightly different. In order to work on an assembly line, you had to know three major things. 1. You had to be able to read. 2. You had to be able to write. 3. You had to be able to do simple arithmetic. Hmm, reading, writing and arithmetic. Sounds familiar, but I’ll come back to that. You also needed a much smaller group of people who were able to manage the other workers. Let’s call them management. They had to be better trained and able to make decisions. You actually didn’t want the line workers making decisions at all because it would introduce variations into the line. Standardization was the key above all else. But where would you get these workers in sufficient numbers? The cost to train them would be prohibitive, not to mention would take too long. 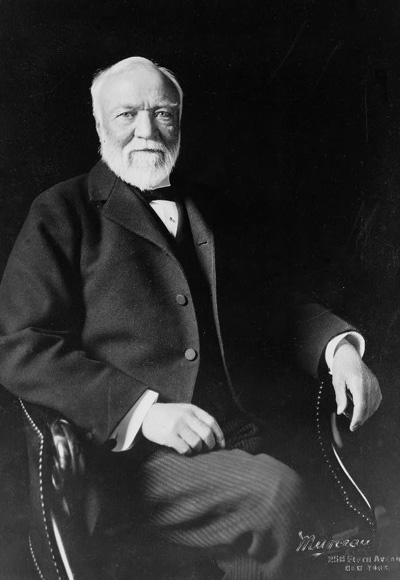 Therefore a group of industrialists such as Henry Ford, John Rockefeller and most notably Andrew Carnegie began to every influence on Education. They used their power to help shape the public education system we have today. You can see their influence today in thousands of classrooms across the country. Children are taught the three Rs above all else. In fact while there are other liberal arts taught, they have never had the same standing as so called STEM (Science, Technology, Engineering, and Mathematics ) courses. Students are grouped by age rather than skills and everyone receives a standardized curriculum. Every year they are given a battery of standardized tests and upon demonstrating a sufficient skill level move on to the next year. Even the class day is divided into periods which are dismissed by a bell, just like on an assembly line. These classes allow the student to get a certain amount of “credit hours” which are the basic unit of measure for education. These are called Carnegie Units and were created by Andrew Carnegie’s Foundation. After the public school had finished teaching, the most promising students went to college to learn skills for management. So what’s my point? Is this all a bad thing? Nope. Mass public education resulted in the 20th century which had the most rapid improvement in the standard of living in human history. American industry was able to achieve amazing feats of production which peaked in World War 2. 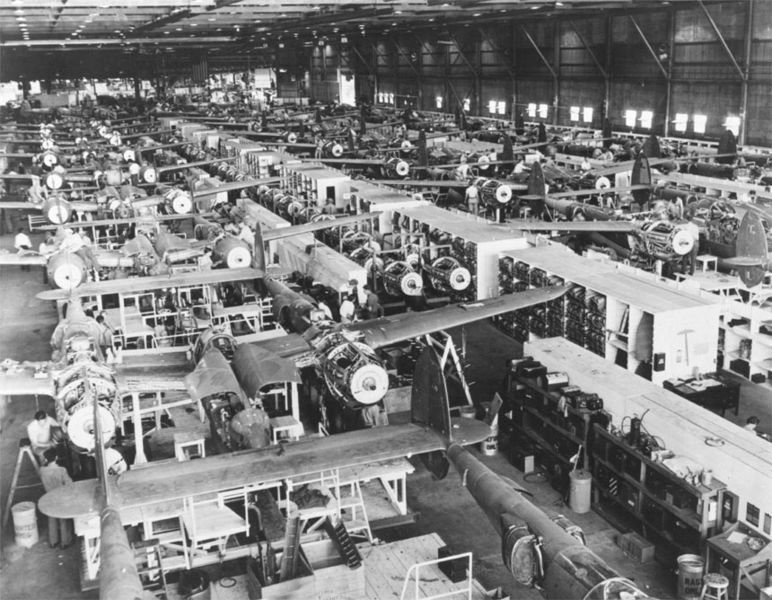 During the war in one year, 1944, American factories produced over 100,000 aircraft. They produced a fleet of ships, including one that was built from start to finish in just 14 days. 25 years later we went to the moon. But what happened then? The principles that originated in the US were spread around the world. Developing countries began to make their own factories and it became cheaper to make products there and ship them to America. Manufacturing in the US began to decline because labor costs were too expensive. Fortunately there was another revolution on the horizon, which promised a repeat of the successes of the industrial revolution. This is the ongoing Knowledge Revolution. Once again the leaders of the revolution are petitioning the powers that lead our country to provide them with workers. This time however, an existing school system is already in place. Think of the public school system as a machine. It was designed and built to produce factory workers. That’s why education reform is such as controversial issue. If the public school system is designed to produce factory workers, then it’s doing quite well. We have all the factory workers we need. Seriously, when was the last time you heard of a factory that was hurting for workers? The problem is of course, the jobs of this new century will require a much different type of skill set. Of sure you still need to read, write and do simple math, but in addition you need to be able to think. Critical thinking was never an objective for the current school system. So what is going to happen now? Well the current system will keep going. It will move to more of a blended learning model simply because budgets will force that to happen. Large chunks of education will be outsourced to various providers, some of whom will be in other countries, and some will be entirely computer based. I do think that elementary education will remain standardized for a while longer simply because there are still some skills that everyone needs to know. I think ultimately there will be a renaissance in a type of learning that the factory model replaced, namely apprenticeships. An apprenticeship model is hands down a better, more effective way to learn than a factory school. The problem has always been that it’s very labor intensive. You pretty much need a master for every 2 or 3 students. Fortunately technology is making that possible. I think in the future, everyone will be a teacher to some extent. The occupation of teacher will still be around, but it won’t be a life long career anymore. People will more into and out of teaching often. They will go into their career fields for a while, then take on some apprentices for a while. 1. A student will take a variable amount of time to learn each skill. 2. Advancement will be based on competency not age. 3. At the beginning of instruction, the outcome will not be known; indeed it will be different for each student. 4. Once the learning starts, it will never end; it will be life long. To provide workers for the Knowledge revolution will require a system that is tailored to bring out the best in each student. You can’t standardize that. The reason why I thought of the leaders of 100 years ago was that if you look at the leaders of the current revolution many of them have something in common. Bill Gates, Steve Jobs, Mark Zuckerberg and Larry Ellison never finished college. They are not standardized. Really interesting post. I think you are spot on! Factory workers don’t need to read or write. There were schools with reading, writing and arithmetic long before there were production-line factories. Some points are good, but the characterization of schools in relation to factories is narrow, and perhaps regional (if there’s any validity to it). Good timing. I’ve been googling to gather information for a presentation on: the origin and history of public schooling. You blog confirms and supplies the information I’ve been looking for. Much of what I’ve reviewed overlooks what you have presented, while most of it presents Dewey’s philosophy. I’ve sign up to receive your blogs , and I look forward to searching your archives. This seems to be a common discussion across countries these days. Here in British Columbia we are trying to figure out what “personalized” or “personal” learning means or 21st century learning. The 4 points you make at the end of your post are certainly part of that. There are a few big questions that come up… what core knowledge should kids learning and know? what are the skills that all kids need to develop? what is the balance of student choice and teacher direction? how does assessment need to be changed (what you assess, you value)? how do we or should we sort kids if there are no or less standards (universities expect this, parents understand it, we value it)? JT Gatto, in his Underground History of American Education, essentially concludes it is pure madness to assume we can ‘fix’ a deliberately broken model. ‘School to work’ – why stop at allusions to Dewey? The USA/UK ruling class seems moreover interested in reinvigorating a medieval caste system, following the current Reign of Terror. Ah yes Mr. Gatto is quite the free thinker! That is really very true, the ruling classes have long been planning the sustainable control of the population to ensure their survival. Do you think one needs to get out of the education system as soon as possible and learn business skills early on? I am toying with the idea I should stuff A levels and teach myself sales, move through a couple of jobs building a network and move into entrepreneurship – create some wealth. Why do so few people pursue wealth as a goal to get them out of the bottom classes?